Maybe not you per se, but there are some folks who are very tough or super cool online. In real life, though, they might be different. In Japan for a while now, there’s been an “Online You - Real World You” meme to point out this discrepancy. It’s pretty easy to follow! The first pic is strong or cool, while the second photo is anything but. 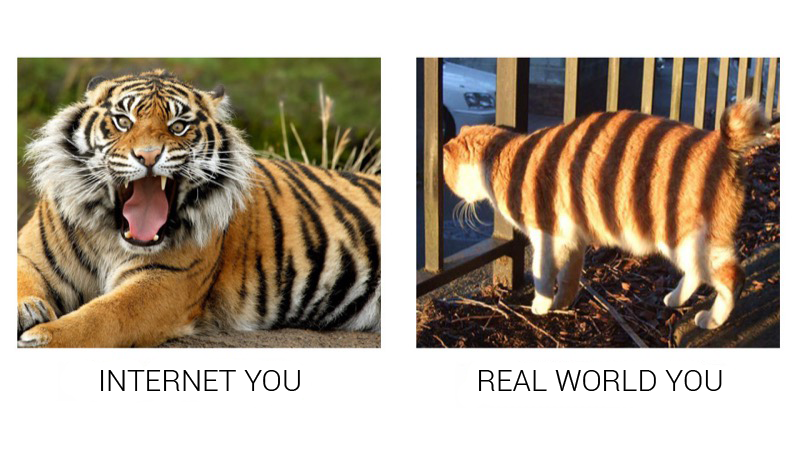 Typically, the text below the first photo reads “Online You” (ネット上のお前ら), while the second photo either reads “Real You” (現実のお前ら) or “Real World You” (現実世界のお前ら). Kotaku went ahead and translated all the images into English. Here, via Naver, 2ch, and Twitter, let’s have a look!